home why did you know? With tales from old binmen and previously unseen film archive, this two-part series offers an original view of the history of modern Britain - from the back end where the rubbish comes out. It’s easy to think that prevention and using your recycling bin doesn’t make much difference. Just look at the facts and think again. You can make a bicycle out of 650 recycled aluminium cans. If you recycle one aluminium can today, it can be made into a new can, get filled and be back on the shelf in just six weeks. Approximately 75% of the aluminium ever produced is still in circulation today. Each ton of recycled paper can save 17 trees, 2.2 cubic metres of landfill space and 7,000 gallons of water. It is possible to recycle one sheet of printer paper up to 7 times. Producing plastic products from recycled plastics reduces energy requirements by 66%. 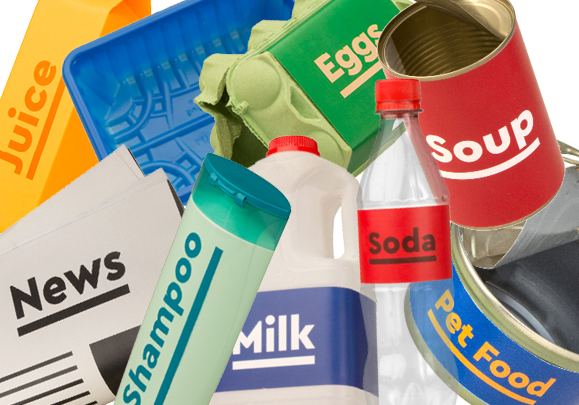 Recycling just 1 tonne of plastics saves 1,000–2,000 gallons of petroleum. It takes up to 500 years for plastic to decompose. One million tonnes of food waste is produced in Ireland annually. That’s enough food waste to fill Croke Park two and a half times! Imagine that. The average household in Ireland is responsible for 1 Ton of Food Waste, thats somewhere between €400 and €1000 per year! All the world’s nearly one billion hungry people could be fed on less than a quarter of the food that is wasted in the US, UK and Europe. An area larger than China is used to grow food that is never eaten. 25% of the world’s freshwater supply is used to grow food that is never eaten. If food waste were a country it would be the 3rd largest emitter of greenhouse gases (after China & the USA).